I really hope each year I get to do this kind of blog at the end of it. It brings me a step closer to understanding what I want to do when I grow up. 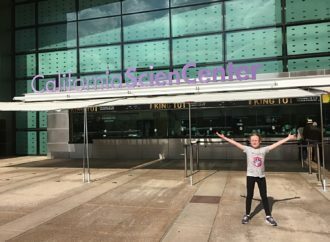 Since January this year my Mum and I have been travelling more and more to learn about space and science and it was my idea to start writing a blog telling people about it. It was initially to show my friends and family how I was getting on but it seems to have grown since then!I never thought back in April this year when I started the blog that I would have ended up travelling to San Diego and Los Angeles. 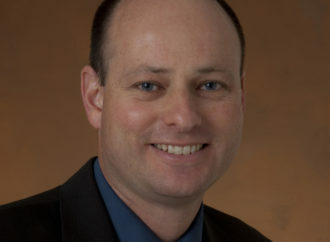 This was only made possible after speaking with Jordan Evans from the Jet Propulsion Laboratory. I went away to the Science Museum and Natural History Museum in London, England for my Birthday. At the time it was to just to enjoy some time in science with my Mum. It was an amazing trip! It was a birthday gift from my parents and we went away for the weekend. I was totally engrossed spending one full day in each location and being able to read as much as I wanted! My blog properly started on April 1st after a chat with my parents. I was reading a book called “101 things to do before your old and boring” and it was the first thing I really wanted to do! 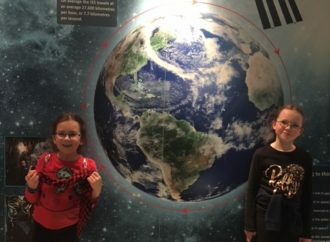 We were actually going to go to Armagh Planetarium a couple of days later, so we had something to write about straight away! Over the last few years I have visited Armagh a couple of times a year and watch the latest films and check out the most recent exhibits. Inititally I didn’t initially know what kinds of things to write about and my next few blogs were a little off space and more about my personal journey but I didn’t really want to do that to be honest. I then started to write about something I am very passionate about. I do my best to protect the environment and this one week in school we learned about the impact of plastic in our oceans. It was after that that I wrote my blog Plastic Oceans which was for a long time my most popular post! My Mum visited Dublin Tech Summit this same month and met and spoke with Jordan Evans who works at the Jet Propulsion Laboratory in Pasadena, California. She mentioned my website and me and he said he would be happy to speak to me! This was a magic moment for me, as during this call I was invited to visit JPL in a Skype call with him. I wrote a book review in May about one of my favourite books called Fun Science by Charlie McDonnell. There are a lot of useful books that help you learn about science and this is easily one of the best ones. During the Summer I shared a blog about where to find information on science experiments. 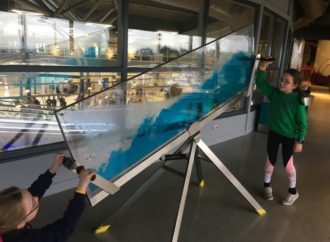 It’s a great way to keep kids occupied if you know where to look! This month was also the Festival of Curiosity in Dublin and I finally met Dr Niamh Shaw at an event in Smock Alley Theatre. Here is my blog about what she showed us. It really helped me want to do more to learn about both space and science. I forgot to do a blog in August…oops! Finally in September – after much nagging from my Mum, I wrote this blog post about possible Life in Space. This was the hardest blog I have ever written as I had to so much research to do but it is now among the top 4 blogs on my website. I visited Armagh Planetarium again this year but this time I was given an amazing guided tour behind the scenes! It was sooo much fun! I met with astronomers and scientists who work there for their PhD’s and I met the education team too. I was there for hours and hours and loads of people who work there said they had heard of me and read my blogs! Ooo, I just remembered they offered me something there that I must take up in the New Year. Read all about this really special visit in the blog below. It is currently (today) my second most popular blog of the year! 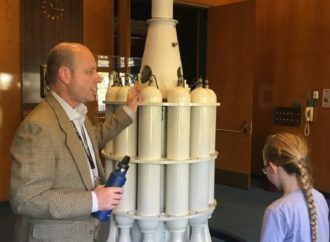 There are more blogs about my visit to California and Los Angeles which include a trip to:Visiting the San Diego Air and Space MuseumThe Space Shuttle Endeavour – California Science CentreI was delighted to get the chance to get interviewed as part of #ScienceWeek by Midlands Science Festival. Thanks so much for that! Also as part of Science Week I visited a Cell Explorers event called How to Find DNA. 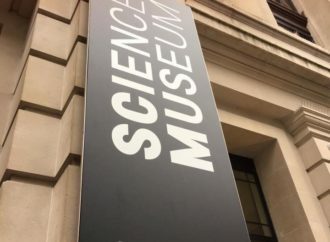 I also attended Let’s Talk Science Festival for the first time too! I can’t recommend it more highly, brilliant event! This month I was asked to appear in the Astronomy Ireland Magazine! I was thrilled to be in their Christmas edition!! What is Happening in 2019? I’m not really sure what is happening yet in 2019 but I know I want to attend as many space and science events as possible. A couple of people have suggested I speak about my journey at an event or two and I think I would like to give that a go, if the opportunity arises. My first priority will definitely be doing my videos on the planets. Also I am going to try to speak to at least one person a month about different roles in space and science so that I can learn more about them. So glad I have already got one video done with a really lovely person I was introduced to who works at NASA Jet Propulsion Laboratory! That will come out next month…I will continue to write about events and places of interest that I visit and I really hope you continue to enjoy them. Thank you so much for your support, encouragement and most of all help! Special thanks to: Armagh Planetarium, Barbara Franzoni, Eimer Duffy, Mark Langtry, Jordan Evans and Dr Niamh Shaw for all the help, inspiration and support you have offered behind the scenes too! Many thanks. My 2 Weeks Immersed in Space and Science! Having a Blast at ESB Science Blast!